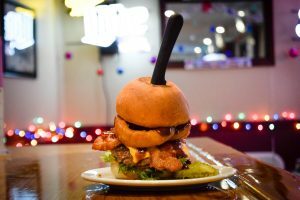 Eight restaurants with unique burgers. Your goal? Devour your way through the Lawrence County Burger Trail. 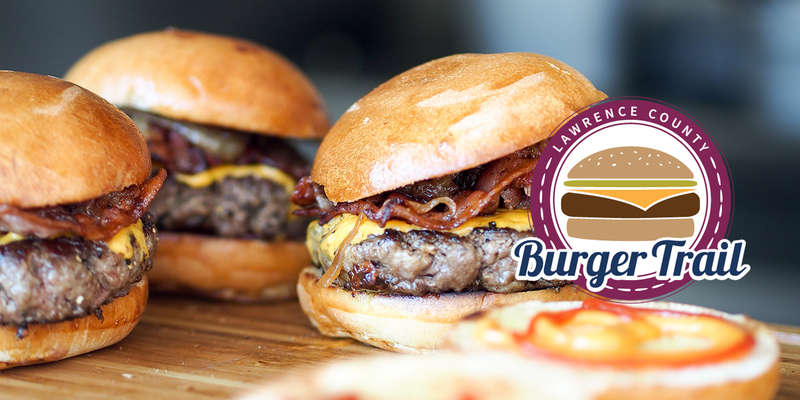 Download Your Burger Trail Passport Here! Pick your burger of choice on the trail. Order. Devour. Ask a staff member at each location to place the official Burger Trail sticker on your passport. Turn in your passport half-way for a mini prize and/or once all the stickers have been collected receive an Official Burger Trail t-shirt! 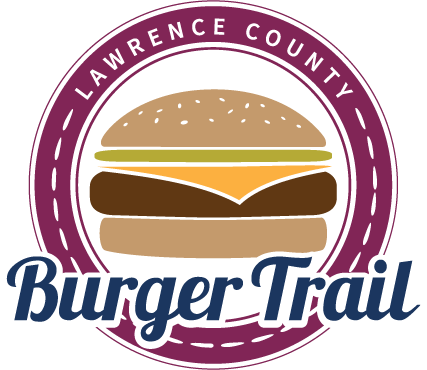 While exploring the trail use #VLCBurgerTrail and #VisitLawrenceCounty on your pictures and posts to document your adventures! Here are a few burgers you might encounter along the way! 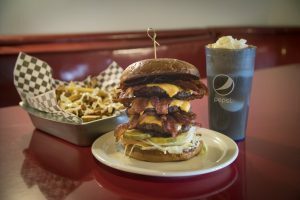 The Hill House Restaurant’s Western Burger is a 1/2 pound patty smothered in BBQ sauce, onion straws, bacon and pepper jack cheese. You’ve earned your spurs with this one. 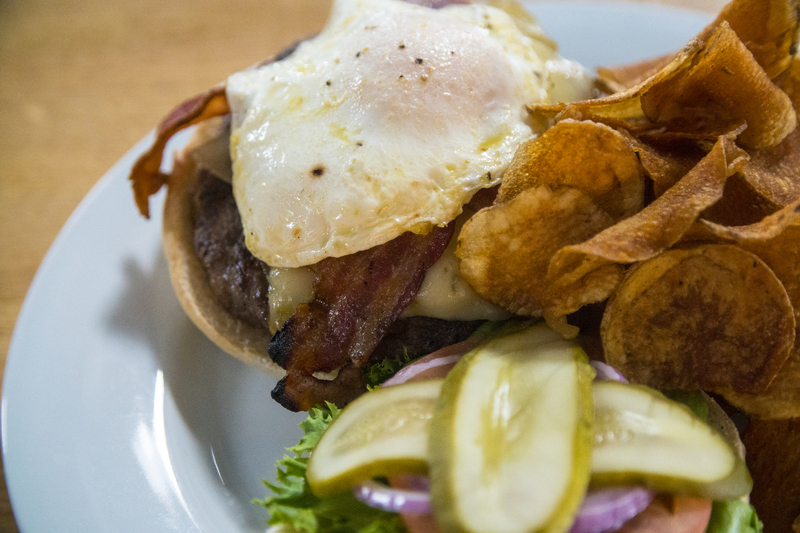 The Crane Room Grille’s namesake Crane Burger consists of 100% half pound ground chuck, pepper jack cheese, bacon, mushrooms, grilled onions, lettuce, tomato, shaved red onion,pickle and topped with a fried egg. You might need a lift after eating this. Pear & Blue Burger is served at the Palate Restaurant. 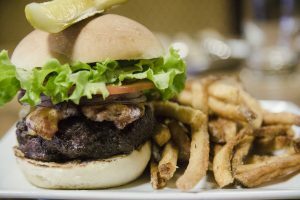 This craft burger comes on a toasted brioche bun with ½ pound of farm to table beef with pear slices, caramelized onions, cured and smoked in house bacon, spinach, crumbled blue cheese and a side of French fries all topped with a Kosher pickle. You’ll be singing the blues after one bite. 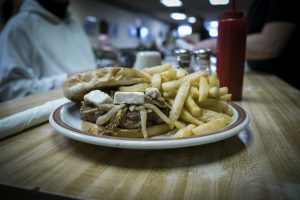 Found at Hazel’s Restaurant, the Greek Burger is one of many nods to the diner’s heritage. 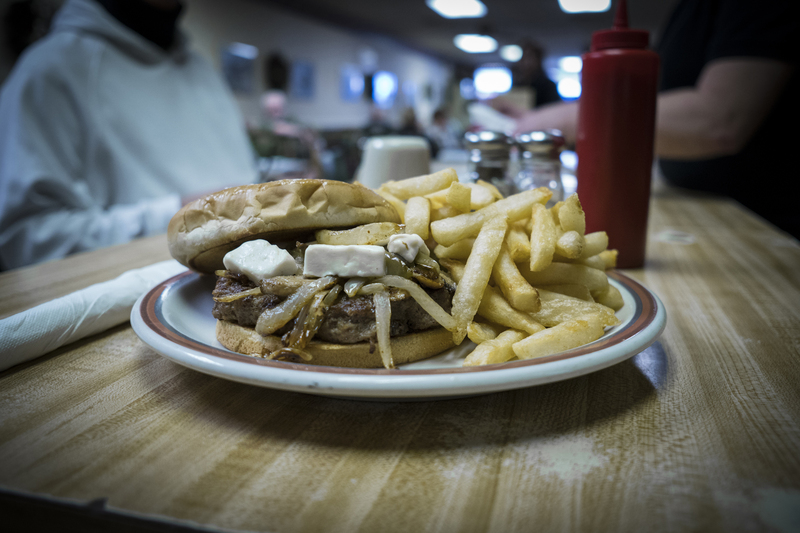 Enjoy a 1/2 pound sirloin steak burger covered with mushrooms, onions, peppers, & feta cheese. You’ll feel like your sunning on the Greek Isles. Ben Franklin’s Taproom, Grille & Bottle Shop’s, Hells Hollow Burger pays homage to the famous trail at McConnells Mill State Park. The trail’s flare for adventure speaks in this spicy burger. 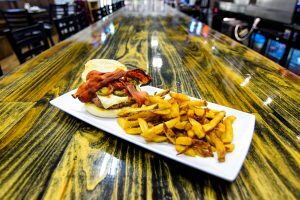 It’s topped with pepper jack cheese, grilled jalapeno peppers, bacon, spicy sriracha sauce and served with fresh cut fries or sriracha fries. 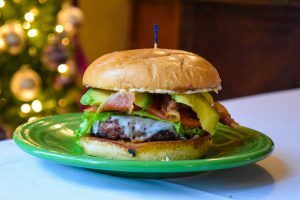 You’ll be thinking sunshine once you take a bite into the Tavern on the Square’s, California Burger. A delicious homemade patty topped with Swiss cheese, avocado, bacon, lettuce, tomato and dressed with Chipotle mayo. Burger’s are served every Tuesday and Thursday. 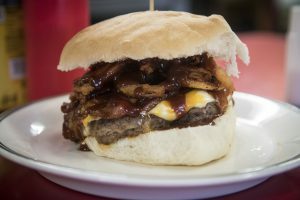 Riardo’s Bar & Grill’s BBQ Burger is All-American. Made with a house seasoned patty, this burger is topped with bacon, onion rings, BBQ sauce and American cheese.